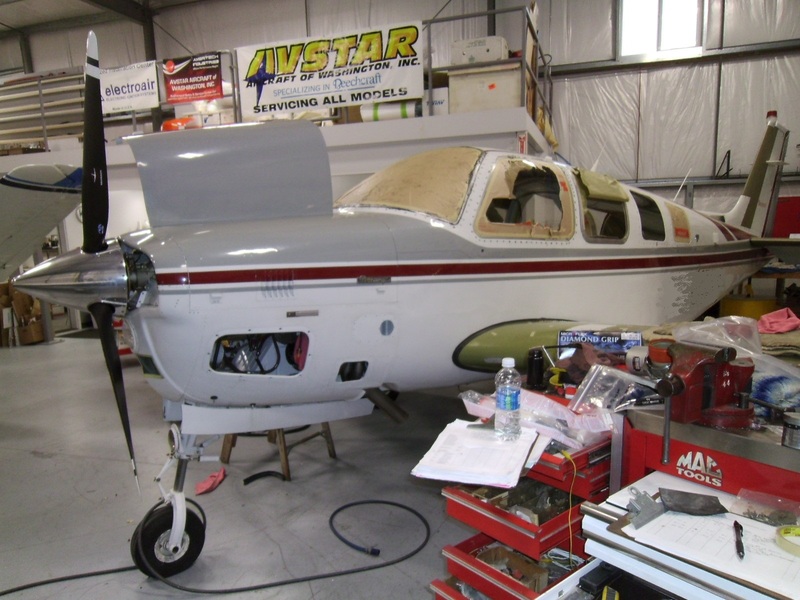 Suprise Weather Change Creates Havoc | AVSTAR Aircraft of Washington, Inc. The B36TC was in the shop for some sheet metal repairs chronicled here. 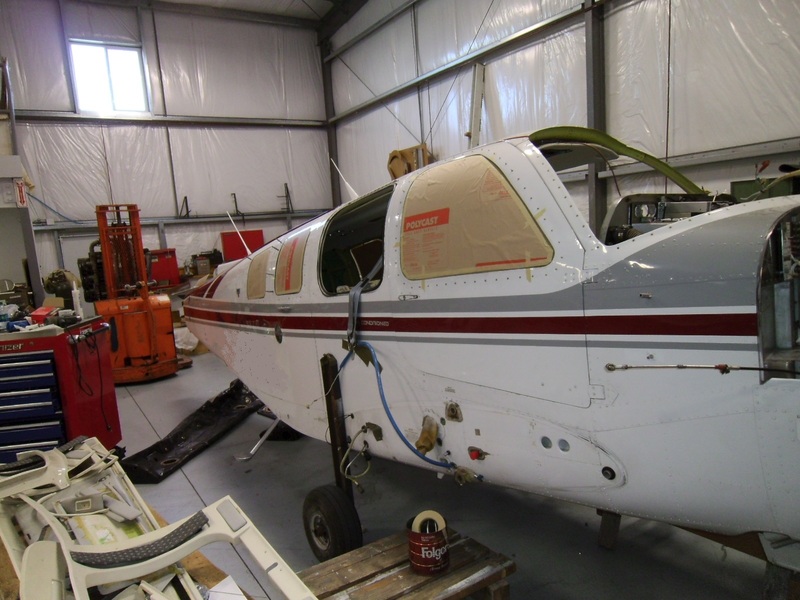 Engine was high time, and with a new coat of paint being anticipated, seemed like the right time to replace some windows. Engine was removed, nacelle was emptied, cleaned and prepped. 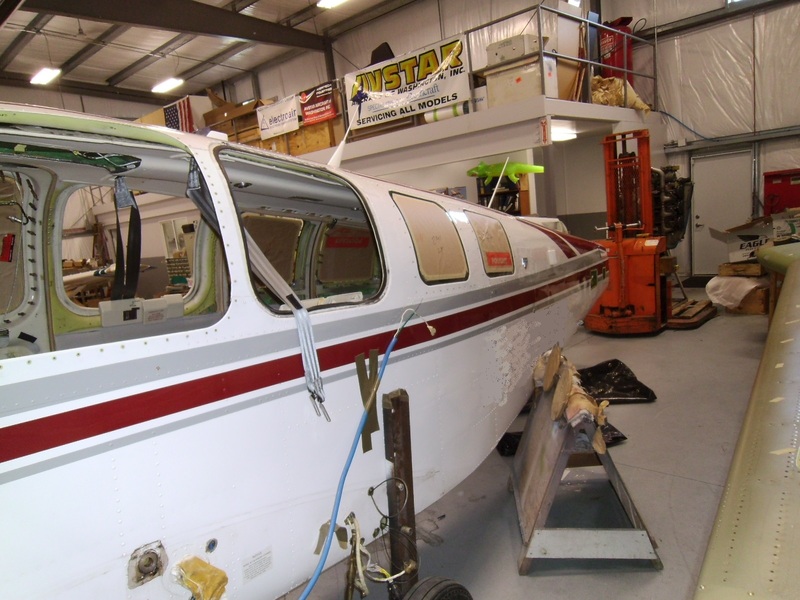 A quick trip through the paint booth for the nacelle, and the re-installation of items started. Windows were fit, trimmed, re-fit, sanded, refit some more. The day came to install the engine that was built up with new DSA baffles. 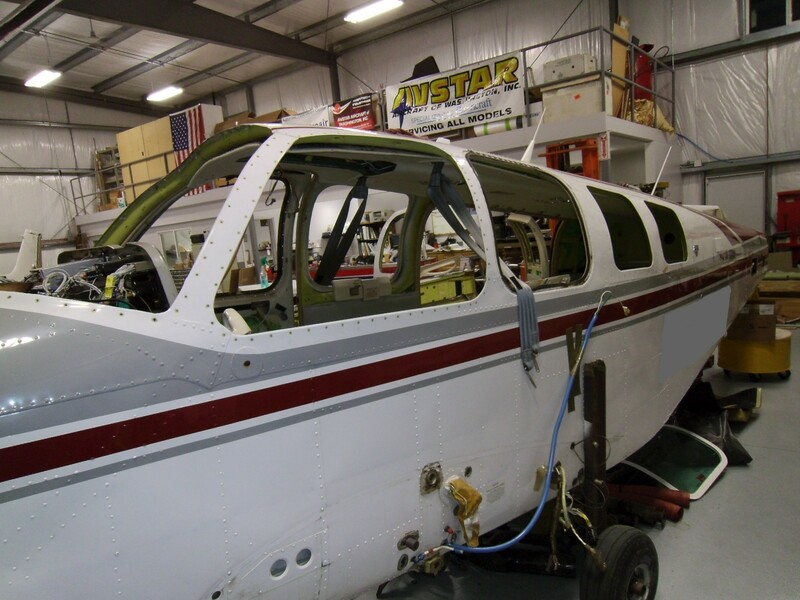 Once the entire window fitting was accomplished, they were glued and riveted into place, and engine installation completed.